The deadliest blockade in human history—and how countless lives could have been saved. The book cover of "Leningrad." Between September 1941 and January 1944, Leningrad was besieged by Nazi Germany, during which time three-quarters of a million inhabitants starved to death. The Nazis “prosecuted a classical siege, preventing, so far as possible, all movement of people and goods in and out of the city, using air and ground bombardment to destroy food stocks, utilities, factories, hospitals, schools and housing,” writes Anna Reid in “Leningrad: The Epic Siege of World War II, 1941-1944” (Walker and Company), the first full-scale narrative of the event in more than four decades. “The siege of Leningrad has been paid rather little attention in the West … despite the fact that Leningrad was the first city in all Europe that Hitler failed to take,” offers the author in the book’s introduction. Part of the reason is that the Soviets actively obscured the truth, while military historians have long preferred to focus on the battles for Stalingrad and Moscow. Reid’s history addresses everything from the Nazis’ deliberate decision to starve Leningrad, to the incompetence and cruelty of Soviet leadership, to the terrible details of life in the blocked city. Perhaps most notably, Reid contends that the death toll would have been far lower under a different sort of government, one better prepared and more responsive to the challenges faced by the city’s citizens. 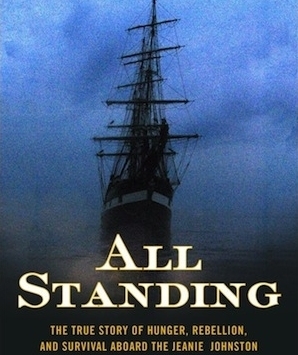 “Failing to empty Leningrad of its surplus population before the siege ring closed was one of the Soviet regime’s worst blunders of the war, leading to more civilian deaths than any other save the failure to anticipate Barbarossa itself,” writes Reid, who graciously took the time to answer Failure’s questions about the siege. Why has the siege of Leningrad received relatively little attention from historians? In Russia, this isn’t true: the siege has received lots of attention, just attention of the wrong sort. Under Communism, honest history-writing was pretty much impossible on any subject, of course, but especially so on the siege of Leningrad, since the vast civilian death toll begged so many questions about the competence of the wartime leadership. Why was the German invasion such a surprise? Why were the German armies allowed to encircle the city? Why weren’t more food stocks laid in, or surplus civilians evacuated, before the siege ring closed? How fair was the rationing system? What did Leningraders really think of Andrei Zhdanov and the city’s other Party bosses? Until Gorbachev’s glasnost Russian historians had no hope of addressing these kinds of questions: their job was to polish an uplifting story of heroic national resistance amidst extraordinary suffering. This didn’t require them to make things up—the heroism and the suffering were real—but it did mean leaving a great deal out. Taboos included the shocking waste of the People’s Levy (a 135,000-strong civilian militia thrown into the front line, without weapons or training, from late July 1941), the encirclement and loss of the Second Shock Army in the spring of 1942, the deaths of tens of thousands on the chaotic Ice Road, endemic theft and corruption within the food distribution system, and continuing political repression. (Ordinary, patriotic Leningraders continued to be arrested by the thousands, even as they died of hunger.) Also left out were the inevitable pathologies of all starving societies: murder, mugging and looting, the collapse of families and friendships, and most notoriously, the scavenging of corpse-meat for food. The distortions and exclusions didn’t only serve a political purpose, they also gave genuine psychological comfort to the three generations whose lives were blighted by the war. Even today, siege historians—mostly themselves St. Petersburgers—feel constrained by a deep sense of respect towards the dwindling band of siege survivors. Debate may become franker, ironically, when the last blokadniki have passed away. On coverage of the siege in the West: until the last fifteen years or so, the whole Eastern Front was hopelessly under-reported. Partly this was because we were more interested in the campaigns—France, Italy, North Africa—in which our own troops fought; partly because Soviet censorship blocked access to Russian primary sources. It’s nevertheless extraordinary that my book is one of only two general histories of the blockade (the other is Michael Jones’s “Leningrad: State of Siege”) to have come out since Harrison Salisbury’s “900 Days” in the 1960s. Why weren’t more civilians evacuated before the Germans laid siege? Two basic reasons: First, transport capacity was limited and troop movements and the evacuation of factories (machinery plus staff) took priority. Second, mass evacuation was seen as a form of defeatism. 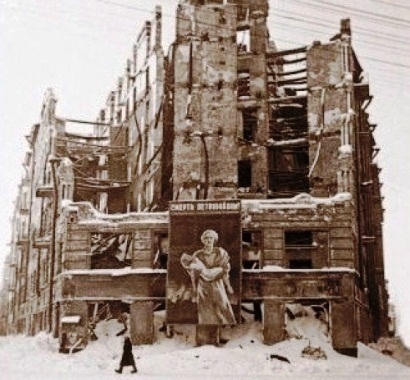 It was never publicly acknowledged that the Germans would cut Leningrad off until they were actually on the verge of doing so, and from the individual’s point of view leaving the city oneself, or publicly arguing for evacuation, laid one open to charges of going absent without leave, “spreading defeatist rumors,” “anti-Soviet attitudes,” “slandering Soviet reality” and so on. In practice this meant that city district Party organizations actually competed to keep people where they were. As Dmitri Pavlov, wartime head of the national food supply agency, put it in his memoirs, district soviets “viewed citizens’ refusal to evacuate as a patriotic act and were proud of it, thus involuntarily encouraging people to remain.” The number of Leningraders evacuated through July and August ’41, could and should, he thought, have been two or three times higher. The one non workplace-related evacuation program that the authorities did organize—of children, in expectation of air-raids rather than encirclement—was a disaster. Instead of being sent east, away from the front, the children were sent to summer camps to the south and west, right in the path of the advancing German armies. Though some parents succeeded (against regulations) in personally retrieving their children in time, others lost them forever. Unknown numbers were killed in German air attacks on trains and railway stations. Why didn’t the Germans simply storm Leningrad and occupy the city? Hitler’s original plan was indeed to attack Leningrad directly, and occupy it in the same way as Kiev and other large cities. On September 5, 1941, when Army Group North was already at Leningrad’s gates, military high command persuaded Hitler to change his mind, arguing that if surrounded and starved, Leningrad would fall almost bloodlessly, and that Army Group North’s tank corps should instead join the attack on Moscow. Two weeks later—ten days after the last road out of Leningrad was cut—the panzers duly swung south, and the focus moved to the capital. Though Hitler launched a second assault on Leningrad in the summer of ’42, it again lacked the armor and artillery needed for a breakthrough. (A vast siege gun, the “Heavy Gustav,” which had pounded Sevastopol, was moved almost within reach of Leningrad but never fired.) Instead, the fighting around Leningrad turned into static trench warfare, until Army Group North was finally pushed back altogether in January 1944. Inside the city, which people were most likely to survive? Who was at the bottom of the food hierarchy? At the top of the food hierarchy, predictably, were staff at the city Party headquarters (a trades union official’s recently released diary lovingly describes the bread and butter, pork and steamed cabbage on offer in the canteen), and people who worked within the food distribution system, within which theft and corruption were widespread. Many diarists complain of bosses skimming their allotted rations, or of “plump” and bejeweled girls behind the counters in the bread shops. Also privileged—though far less so—were factory workers and the staff of prestigious institutions such as the Academy of Sciences and the Hermitage. Their workplaces were less likely to close down, condemning them to a “dependent’s” ration card (nicknamed the smertnik, from the Russian word for “death”). They were also likelier to have some sort of light and heat, and access to food parcels sent by air from Moscow. The poet Olga Berggolts, for example, was able to distribute coffee, chocolate, oranges and other luxuries to friends thanks to her job at the city radio station. At the bottom of the food hierarchy came the poor and unskilled (in apartment buildings and offices, janitors and cleaning ladies were often the first to die), the peasant refugees who arrived in the suburbs with their carts and cattle ahead of the German armies, and teenage “factory-school boys”—village boys sent to board in the city and train as industrial workers. These latter groups were more or less abandoned by the authorities. (The Party archives are full of examples of food allotted them being skimmed or stolen.) The very earliest reports of starvation deaths come from the suburban towns in which peasant refugees were penned (they were not allowed into the city center), and factory-school boys became notorious for mugging for bread. There are no reliable figures for the death rate amongst either group, but it was certainly well above the average twenty-five or thirty percent. To what extent was crime and cannibalism a problem during the siege? The most notorious crime of the siege was cannibalism, but it was not widespread. A total of 2,015 people were arrested for “the use of human meat for food” between December ’41, when the first cases were reported, and the end of 1942, when they finally petered out. Even taking into account under-reporting (rank and file police were starving too) this represents less than a thousandth of a pre-siege population of 2.5 million. And the vast majority of “cannibals” were not the bestial lowlifes of Soviet legend, but the respectable poor. Sixty-four percent, the police reports tell us, were women; over ninety-percent had only a basic education, forty-four percent were jobless, and only two percent had a criminal record. Case reports also often mention—perhaps in an unspoken plea for clemency—that the arrestee was unsupported (her husband being dead or at the front) and had children. “Cannibals,” in other words, were ordinary working-class women, scavenging protein to feed their families. What might Stalin and the Soviet government have done differently? Zhdanov thus earned points for zeal and asserted himself against a rival, and the trains went elsewhere. What I don’t argue is that Leningrad should have been surrendered. If it had been the Germans too would have let civilians starve (as they did in Kharkov and other cities they occupied). The city’s remaining Jews would have been rounded up and murdered. Hitler would have captured important defense plants, naval dockyards and railway lines. His armies would have pushed significantly further east, more of Russia would have been fought over and occupied, and the whole war would have gone on longer. Leningrad would also have been physically destroyed, first by the Soviets as they left, second by the Germans as they abandoned it in turn. One of Europe’s most ravishing cities—now again St. Petersburg—would be either a Stalinist megalopolis, or a reconstruction. Go there, and be grateful. 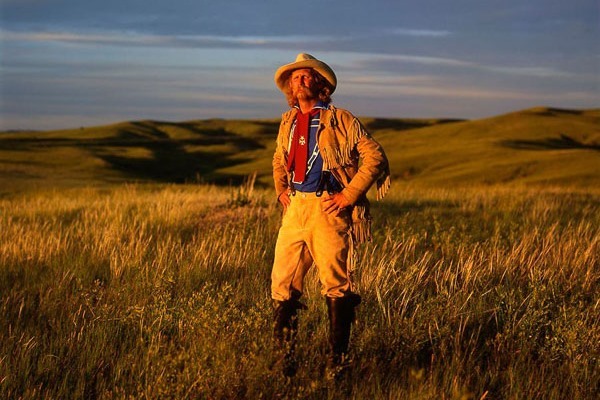 Steve Alexander as George Custer: Still Standing—“Foremost Custer living historian” to ride again at the 2017 Real Bird Little Bighorn Reenactment. 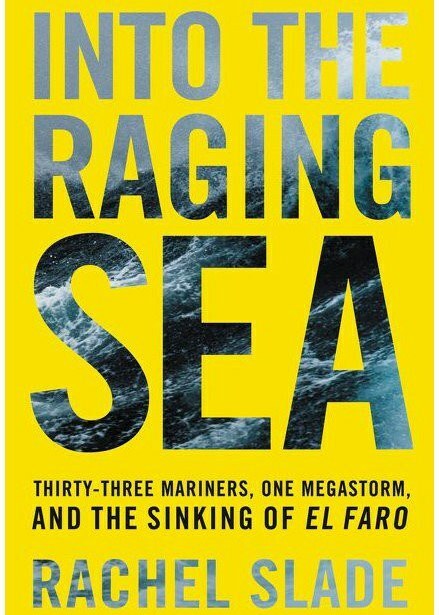 The Sinking of El Faro—Rachel Slade, author of “Into the Raging Sea,” on the sinking of American container ship El Faro. Great Balls of Fire—The airship has had a long history of spectacular mishaps. The Jeanie Johnston—Why did the Irish famine ship Jeanie Johnston succeed when so many others failed?